This is a unique online programme for mind AND body. 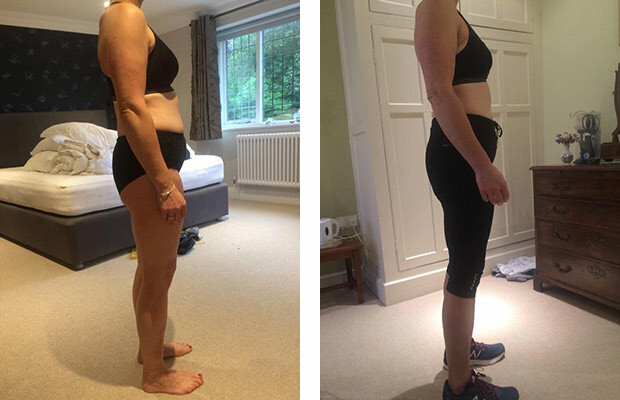 Based on healthy eating, daily workouts AND a whole 6 weeks’ support and education from the DROPiT21 Team. Not only does this programme give you rapid weight & inch loss results, but compliment this with the Mindset modules to ensure the results you achieve are sustainable and turn into lifelong positive change. The best value programme getting a FULL 6 weeks' support from the DROPiT21 Team. It includes our 21 day fast start nutrition & fitness programme, together with our ADDITIONAL 21 day 'EXTRA' Programme. Thus enabling the good habits to stick, ensuring you make sustainable, lifelong, lifestyle changes. 21 day fast start nutrition & fitness programme, lose 11 lbs and 11 inches in just 21 days*. This can be done either via secret Facebook Group on specific dates or completely via email – whichever medium you prefer, the programme is exactly the same. A 7 Day completely FREE taster of the nutrition & fitness programme delivered via daily email direct to your inbox. This experience completely transformed my attitude to food. I used to binge on sugar and overeating was a bad habit I'd picked up over the years. The food we ate on the programme didn't feel like a diet, the food is plentiful, home cooked and really nutritious. Regular contact with Sandra, Leanne and the rest of the group was a great support. Give it a go, you won't be sorry! It’s been a revelation and has changed my attitude to food, I was a snacker with some terrible habits, always thinking about food. I lost over 9lbs and feel slimmer and better and in control of my cravings. I’ve started exercising regularly again really enjoyed 10 minute bursts of exercise each day. Sandra and Leanne were great support and readily available for advice online, always very motivating. It’s been really good to be doing a diet that helps me to learn about myself and how to eat healthily again and hopefully I will continue a lot of the good habits I have learnt and continue to lose some more weight. I highly recommend this programme, although difficult at times, challenging your ideas about eating, well worth doing. Wow what a difference three weeks makes! I was uncertain how or if I would be able to complete the three weeks but after the initial couple of days I was hooked! I've just completed the 21 days, I've lost 11lb, my skin is so clear. I've loved the 10 minutes of exercise every morning with Sandra in my front room encouraging me all the way (well on my iPad) and I am bursting with energy! This is the best thing I have done for myself in years and I am chuffed to bits. I highly recommend DROPiT21 if you want to feel better about yourself, more confident, lose weight and totally energised!! Thank you, Sandra and Leanne for all the support and encouragement!! Weight / inch loss was a bonus but more than that I’m starting to develop a healthy relationship with food that I never had. I would highly recommend DROPiT21 not just to loose weight, but to become healthy from the inside out! I can’t believe the results! I lost 16.5 inches and an unbelieveable 20lbs! I also feel better so much more positive all round.